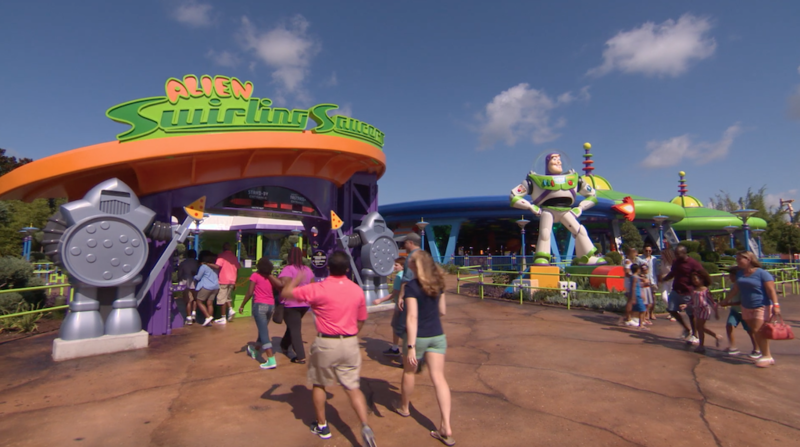 Woody, Buzz, and the gang know how to have a good time when the humans are away and now you can experience life from their perspective. Toy Story and Pixar have been a part of Hollywood Studios for quite some time, and this Summer their expanding their presence. 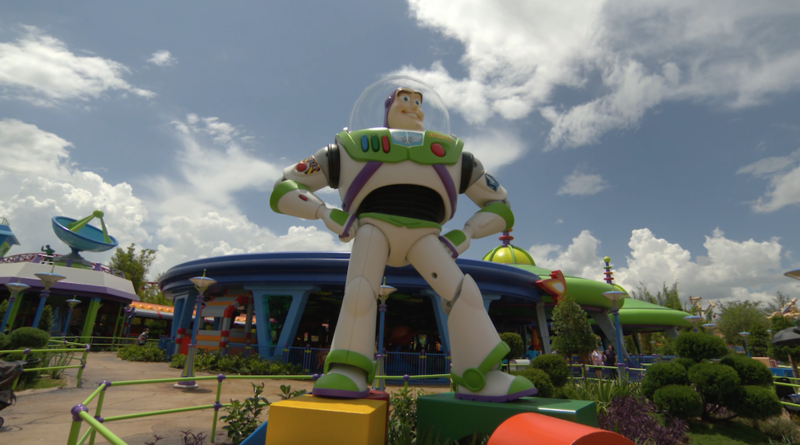 So slip on your cowboy boots, strap into your space suit, and come spend an afternoon in Andy’s backyard. 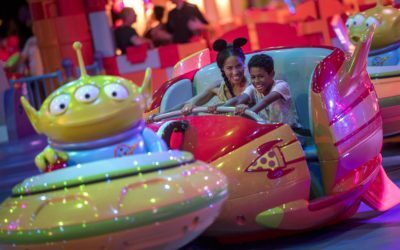 Guests will shrink down to the size of toys and experience hours of fun with Woody, Buzz, Jessie, Rex, and the rest of the gang. 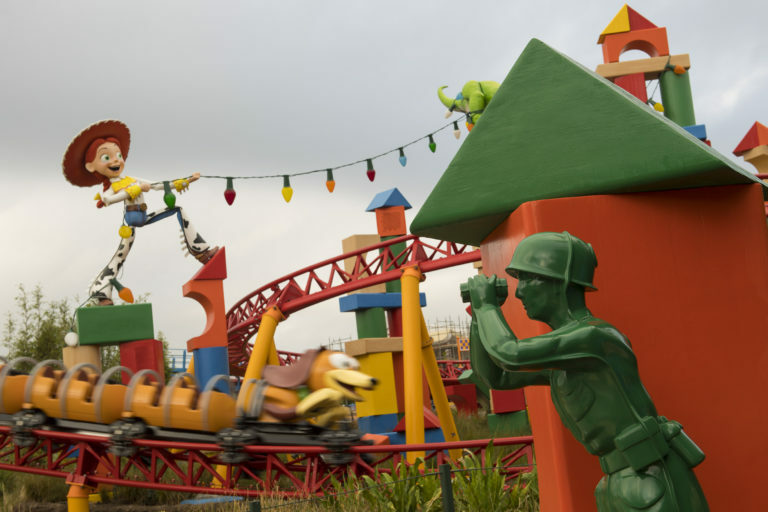 Toy Story Land will feature three exciting and fun attractions that kids and kids at heart will love. Whether they prefer dashing through the backyard, swirling around on “flying saucers”, or besting each other at midway games, this land has something for everyone. This brand new roller coaster will race guests around the land as Slinky Dog stretches and runs through the backyard. 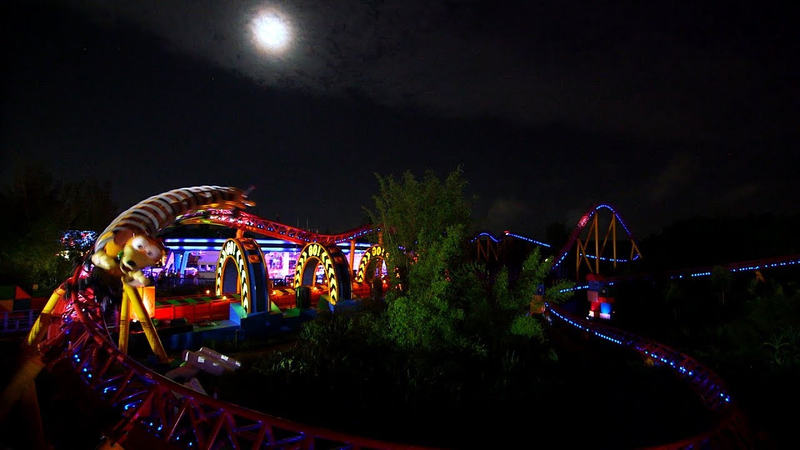 Kids and adults alike will enjoy the family friendly thrill ride. 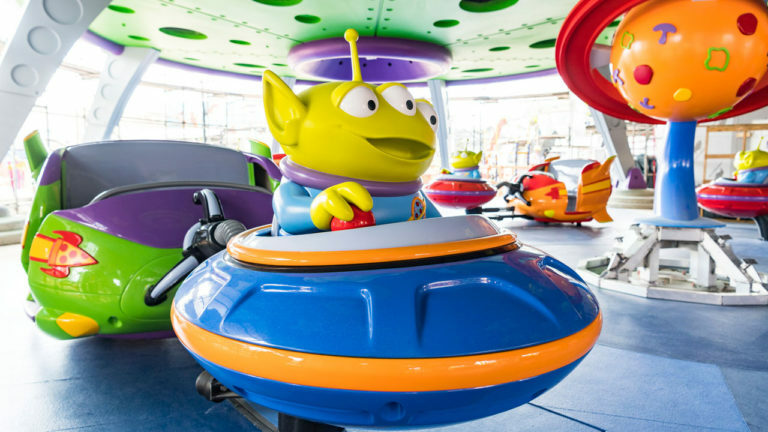 Climb on board a flying saucer operated by one the Little Green Men, and go for a spin. Literally! 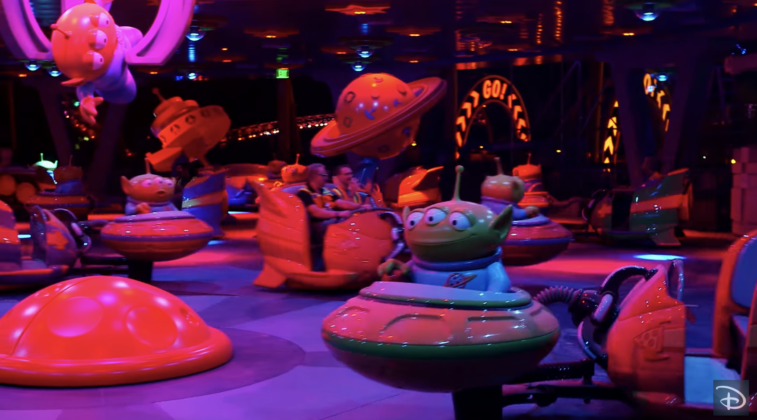 Everyone’s favorite Pizza Planet Aliens are having fun driving guests around on a journey to Planet Pepperonia. Shrink down to the size of a toy and get ready to play some midway games! 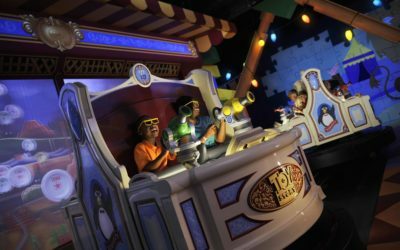 This interactive 3D ride allows guests to compete against each other as they play four midway themed games. 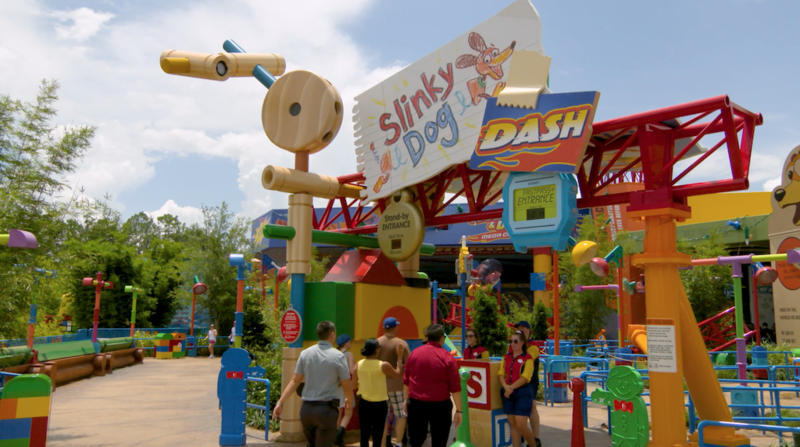 Smash plates, pop balloons, try your hand at ring toss, and aim for targets with suction darts all while trying to get the highest score! It’s all in good fun of course. 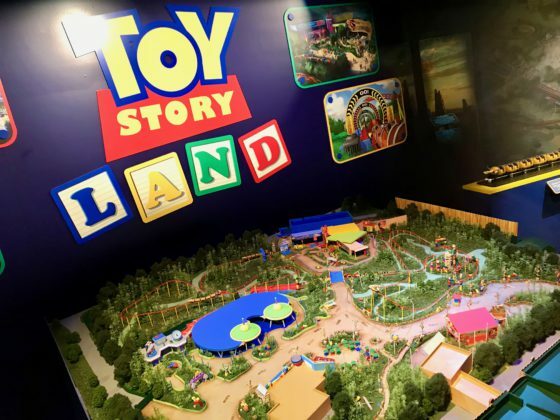 Toy Story Land has been added to Walt Disney World’s My Disney Experience App. 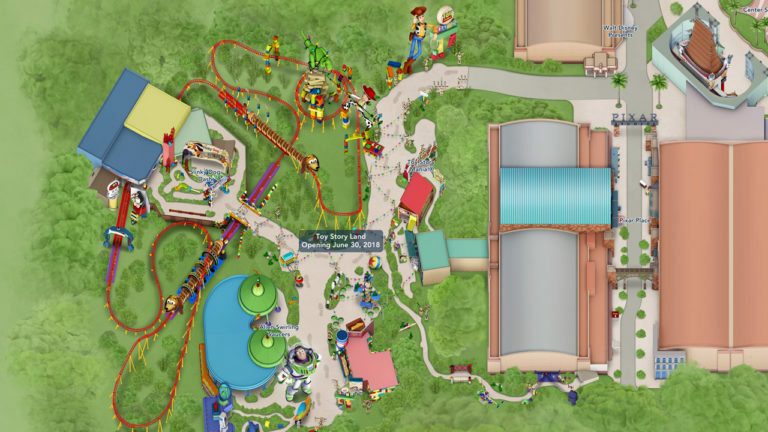 Guests can now explore the new land on their phones before visiting the park. 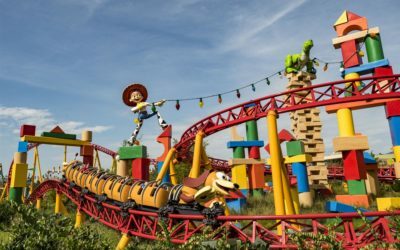 Toy Story Land will officially open on Saturday, June 30th. 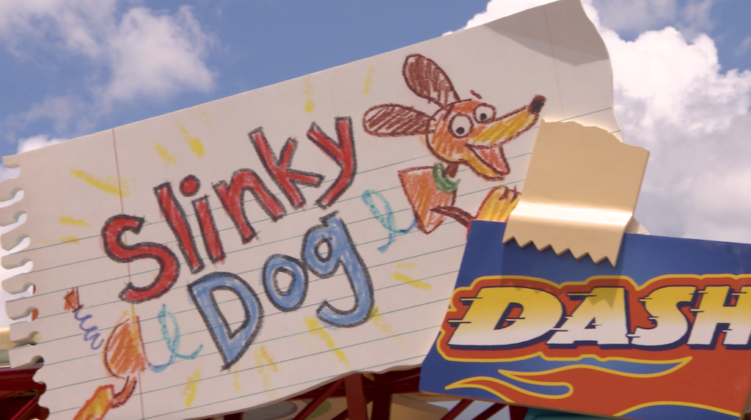 What’s on the menu? 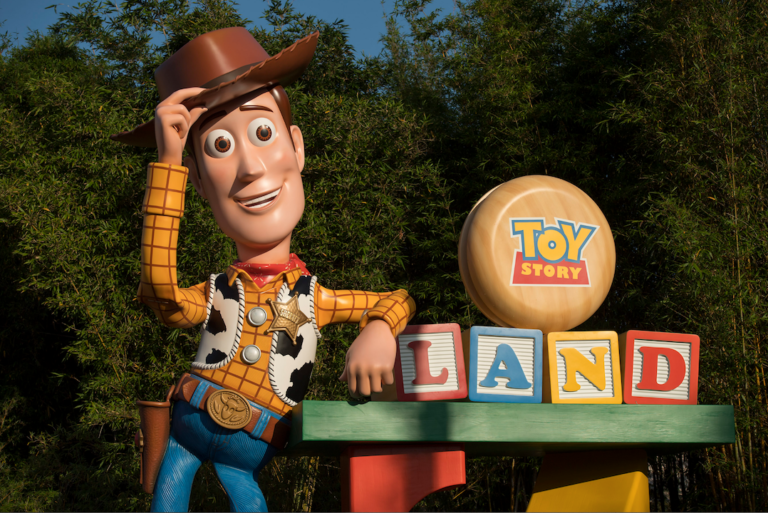 Woody and pals are serving up a delightful assortment of sandwiches, snacks, sweet treats, and more. Guests will be able to enjoy a satisfying breakfast or conquer their hunger with these delicious dishes. 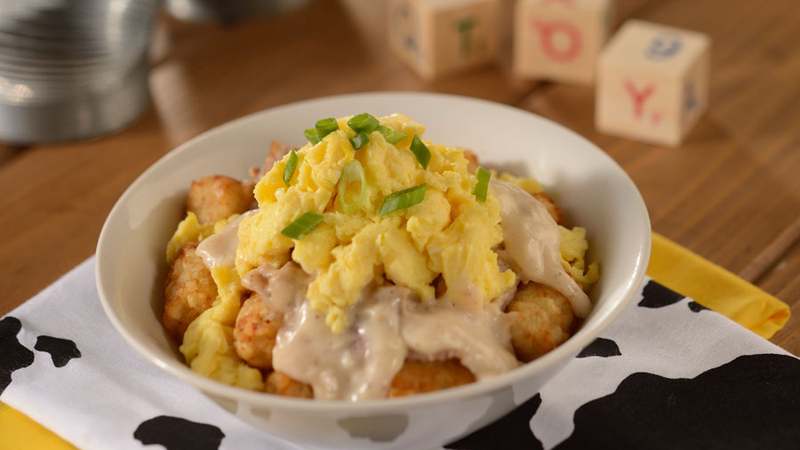 Breakfast Bowl: Hearty portion of Potato Barrels smothered in Smoked Brisket Country Gravy, Scrambled Eggs and a sprinkling of Green Onions. 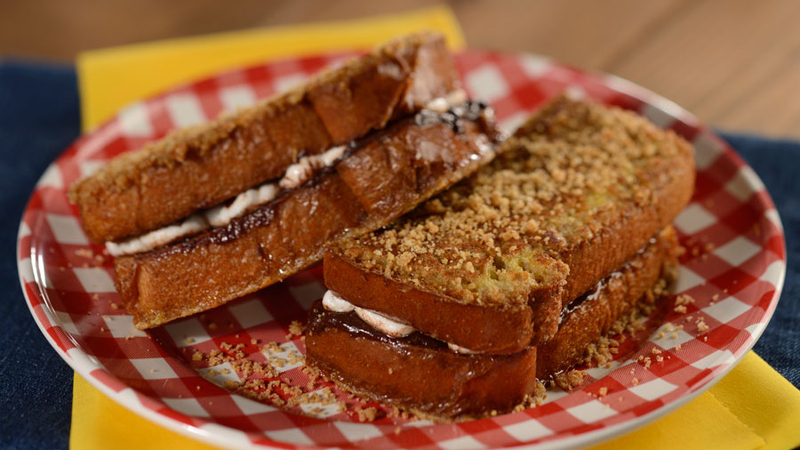 S’more French Toast Breakfast Sandwich: Marshmallow and Chocolate Ganache stuffed in Grilled Custard soaked Brioche encrusted with Graham Cracker Crumbs. 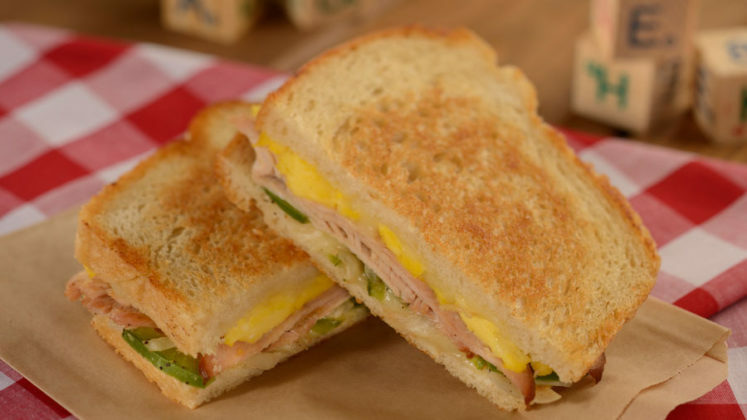 Smoked Turkey Breakfast Sandwich: Thick-sliced Smoked Turkey Breast, Melted Swiss Cheese, Sautéed Green Pepper, Onions and Scrambled Eggs on Grilled Sourdough. Banana Split Yogurt Parfait: Pineapple, Strawberries and Banana between layers of Vanilla Yogurt and Honey topped with Granola and Dark Chocolate Chips. 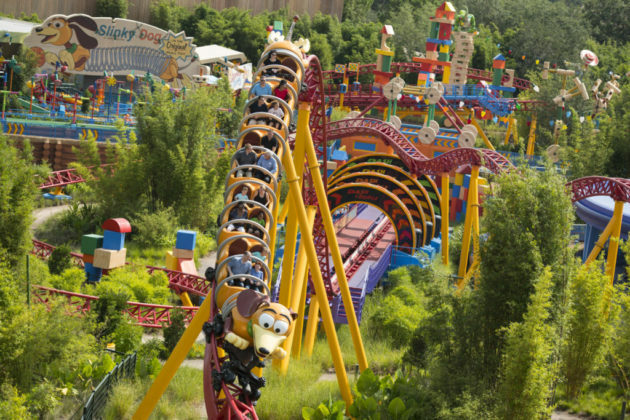 Kids Breakfast Entrees: are served with a Mandarin Orange and Potato Barrels and choice of Beverage (ages 9 and under). 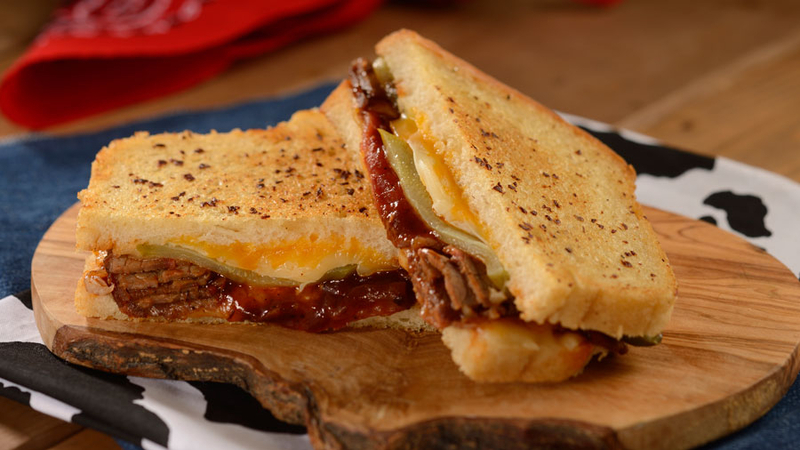 BBQ Brisket Melt: Sliced Smoked Brisket, Pickles and tangy BBQ Sauce between melted Cheddar and Monterey Jack Cheeses on Grilled Sourdough. Smoked Turkey Sandwich: Thick-sliced Smoked Turkey Breast, Lettuce and Tomato with Dijonnaise spread served chilled on Sunflower Multigrain. 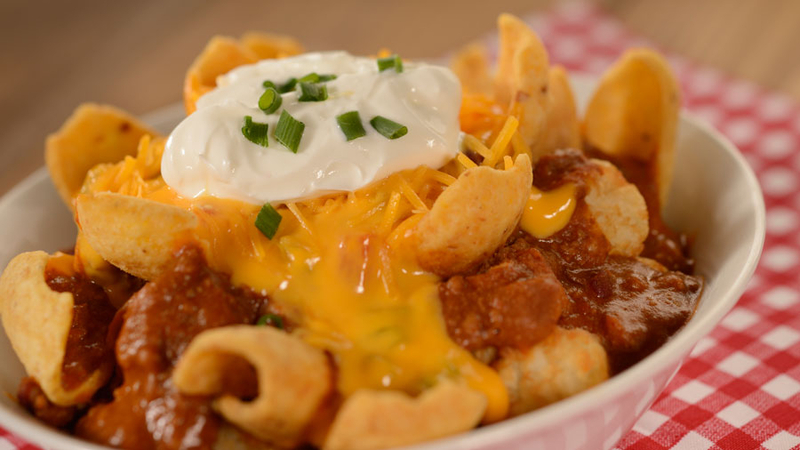 “Totchos”: Potato Barrels coated with Beef and Bean Chili, Shredded Cheese and signature Queso with Tomatoes and Corn Chips finished with Sour Cream and a sprinkle of Green Onions. 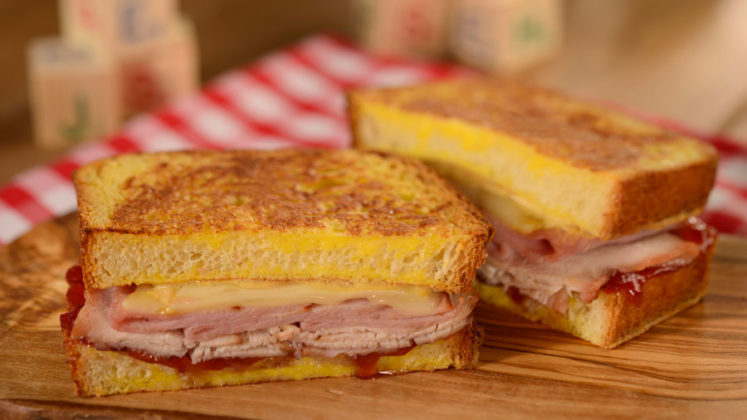 Monte Cristo: Thick-sliced Smoked Turkey Breast, Ham, Raspberry Marmalade, Dijon Mustard and Melted Swiss Cheese on Grilled Custard soaked Brioche. Grilled Three Cheese Sandwich: Melted Provolone and Cheddar Cheeses with a Cheddar Cream Cheese Spread on Garlic Buttered Grilled Artisan French Bread. Turkey Sandwich: Sandwich Half with Thick-sliced Smoked Turkey Breast, Lettuce and Tomato with Dijonnaise spread delivered chilled on Sunflower Multigrain served with a Mandarin Orange, Potato Barrels and your choice of Beverage. Grilled Cheese: Sandwich Half with Melted Provolone and Cheddar Cheeses with a Cheddar Cream Cheese Spread on Garlic. Buttered Grilled Artisan French Bread served with a Mandarin Orange, Potato Barrels and your choice of Beverage. 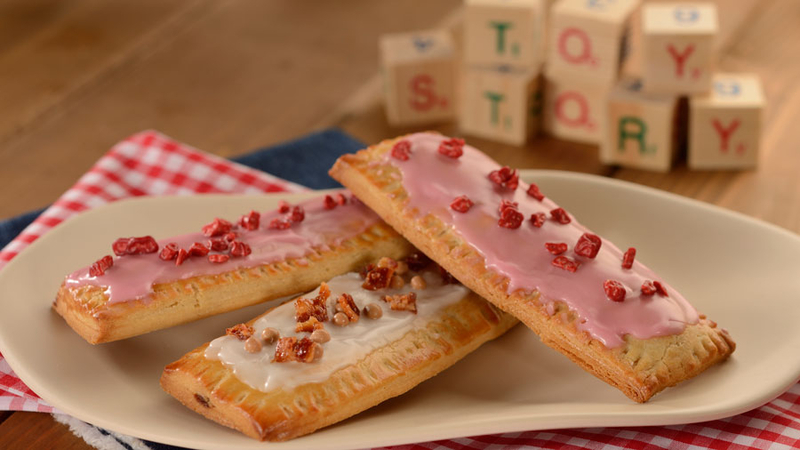 Raspberry Lunchbox Tart: Raspberry Marmalade stuffed Pastry coated in a Strawberry Fondant and Crispy Pearls. Chocolate-Hazelnut Lunchbox Tart: Chocolate-Hazelnut stuffed Pastry coated in Maple Fondant and Candied Bacon. 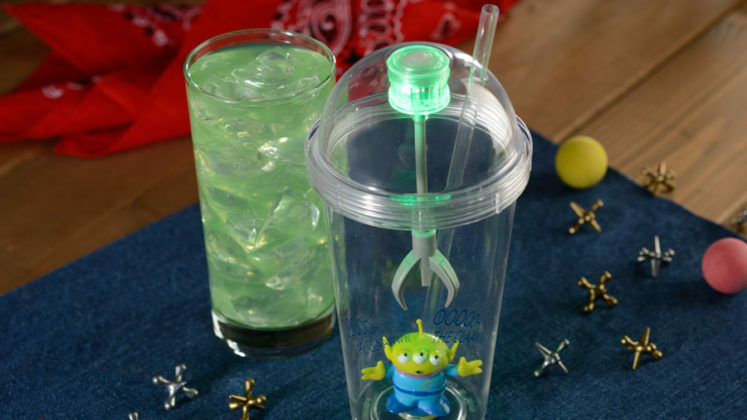 Mystic Portal Punch: POWERade Mountain Berry Blast with flavors of Lemon-Lime and Tangerine. Ice Cream Float with Barqs Root Beer: made with Vanilla Soft Serve Ice Cream. 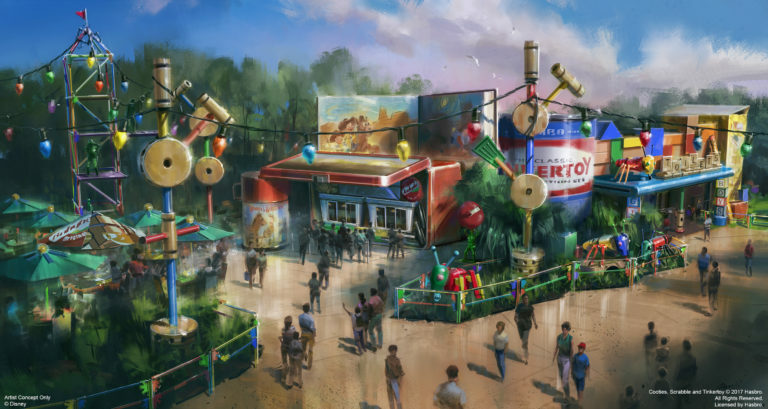 Assorted Fountain Beverages: Assorted Coca-Cola Offerings. Regular and Decaf Coffee: featuring Joffrey’s Coffee. Cold Brew Joffrey’s Coffee – French Roast: Artisan Roasted Coffee Beans blended with flavors of Chocolate with a Smoky finish featuring Joffrey’s Coffee perfectly steeped in water at cool temperatures for an extended period of time to create a smooth cup of Cold Brew Coffee. 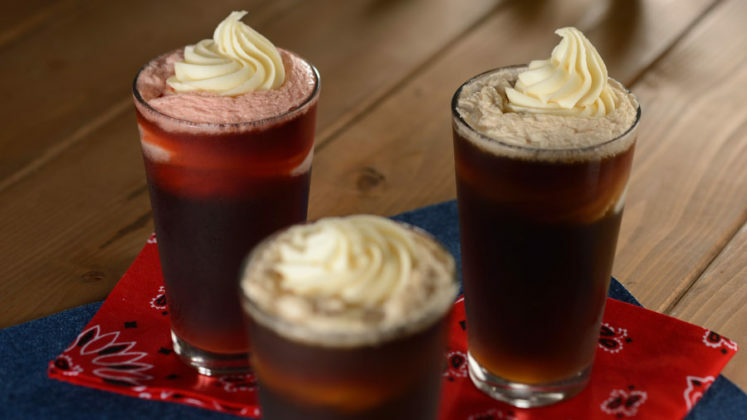 Cold Brew Joffrey’s Coffee – Shakin’ Jamaican: Artisan Roasted Coffee Beans blended with Caramel, Vanilla and Smoky flavors featuring Joffrey’s Coffee perfectly steeped in water at cool temperatures for an extended period of time to create a smooth cup of Cold Brew Coffee.